The 2018 TD Canadian Children’s Book Week begins on May 5th 2018 and ends on May 12; in that time 28 authors, storytellers and storytellers will give 400 readings to over 28,000 children, teens and adults in roughly 175 communities across the country. Do you have a touring creator coming to your community? Get to know them beforehand with these interviews. 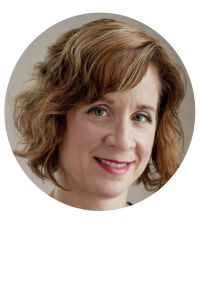 Vikki VanSickle is the author of the acclaimed Clarissa books, including Words That Start With B (CBA Libris Awards Children’s Book of the Year Finalist), Love is a Four-Letter Word (Indigo Kids Best Book of 2011), and Days That End in Y (Best Books for Kids and Teens selection). If I Had a Gryphon (shortlisted for the Blue Spruce Award and the Ruth and Sylvia Schwartz Award) was her first picture book and her latest novel, The Winnowing, was short-listed for the 2018 OLA Red Maple Award, Fiction. Currently she balances writing with her duties as the Marketing and Publicity Manager for Young Readers at Penguin Random House Canada. What advice to you have for young creators? 1) Read as much as you can, in all different formats and genres. It helps you learn about structure, pacing, and the range of storytelling methods that exist. 2) Keep a journal. This helps you get into the habit of writing and is a great place to keep ideas. 3) Find a buddy and make a plan of when you are going to send each other work. Talking to another writer about your work can help you get through the rough patches. By setting a schedule of when you’re going to submit to each other you make a commitment to actually finish something, plus you get used to working with a deadline. What are you most excited for about Book Week? Is there anything you’re nervous about? I’m very excited to explore the province of Manitoba. I haven’t spent a lot of time there and I like visiting new places. I’m not particularly nervous about anything, except maybe how I’m going to fit books and clothes into my very old suitcase! I’ve always been interested in children’s books. My very first children’s book job was a summer job as the summer reading program coordinator at the Woodstock Public Library. After that I knew for sure that I always wanted to work in children’s books. I’ve managed a children’s bookstore, reviewed books and now I work in children’s book publishing in addition to writing. I am inspired by all sorts of things! I love reading, movies, TV, theatre, essentially stories in all shapes and sizes. Sometimes a friend will tell me a story about something that happened to them and I am inspired by that. All of my books are a love letter to something that I love. I was (and still am) a big reader and I find it hard to select favourites, but the books that stayed with me the most include the Nancy Drew mystery series, the Anne of Green Gables books, Kit Pearson’s books, The Giver by Lois Lowry and a novel called Into The Dream by William Sleator that inspired my most recent book, The Winnowing. Find out more about Vikki Van Sickle at her official website or through the Book Week website here. Alison Hughes writes for children of all ages, and her books have been nominated for the Governor General’s, Silver Birch, Red Cedar, Diamond Willow, Hackmatack, Chocolate Lily and Alberta Literary Awards. Alison volunteers for children and literacy and gives frequent presentations at schools, libraries and young-writer conferences. She lives in Edmonton, Alberta, with her family. Do you have any advice for young, aspiring creators out there? Never give up. Ever. It may take a while to get where you want to go, and it may even seem like an uphill climb at times. But it’s very important to believe in yourself and your work, keep getting better at it, and block out the negative thoughts and the critical voices. I’m most excited about talking and laughing with the kids! That’s one of the wonderful parts of this job, and I love that Book Week will give me the opportunity to visit many different schools. I’m not nervous about anything, other than maybe navigating unfamiliar highways and getting to my sessions on time! What is one random fact about yourself that might surprise people? I have a knack for spotting petrified wood. Some people might consider this a profoundly useless skill, and they are possibly right. I’m delighted with each piece I find, though, and lug it home and have bowls and bowls of the stuff lining shelves in my house. It wasn’t a straight line, that’s for sure. I started out studying English literature, then I got a law degree, then a masters in law. I worked as a lawyer in non-profit organizations until our three children came along. I read a lot to them when they were young, and saw how incredibly important good stories are. I started to wonder if I could write a children’s book. I did, and thankfully the stories just keep coming. I’ve written picture books, early readers, middle grades and young adult novels, so there’s something for every age range. 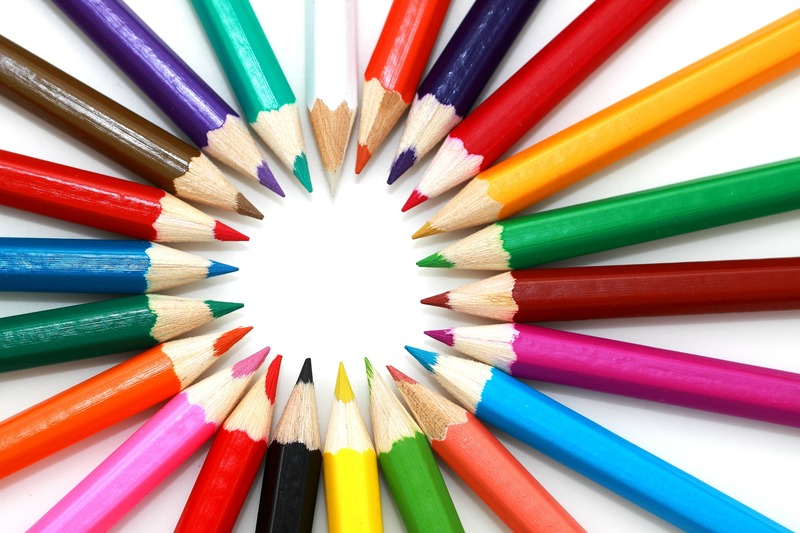 Many of the themes easily link to current curriculum topics such as environment, acceptance and appreciation of differences, friendship, loyalty, anti-bullying, etc. For example, my picture book, What Matters, has been used by several schools as a whole-school initiative exploring how small actions can have a big impact in our world. Find out more about Alison Hughes at her official website or through the Book Week website here. Jessica Scott Kerrin is a Canadian writer who is best known for fiction books for children, including an eight-book series called Martin Bridge; a trilogy called The Lobster Chronicles; two mysteries called The Spotted Dog Last Seen and The Missing Dog is Spotted; an adventure novel, The Things Owen Write; and, the new picture book, The Better Tree Fort. Do you have any advice for any young, aspiring creators out there? There are two questions I ask young, aspiring writers. Do you like to tell stories? Do you like to read? If so, you have a good foundation for becoming a writer. I can always spot you in my audience. You’ll be the one to ask really great questions that probe and make me think about the writing process and my own work. You’ll also want to share with me some of the projects you’re currently working on. My advice to you would be to surround yourself with family and friends who support you, because you already have what it takes. For the touring creators, Book Week involves a lot of traveling. What one book and one other item are your travel essentials? I bring my own books, of course, because I’ll be reading from them, as well as whatever I’ve currently borrowed the public library. Right now, it is a book about astronomy. But whenever I’m on a book tour, I always pack my laptop. If there was a house fire, my laptop would be the one possession I would rescue because everything is on it, from manuscripts to photographs to music. Right now, it is being repaired because the right speaker blew out and it sounds fuzzy. I hope I get it back in time for the tour or I will be lost! This past year, I was finally able to quit my day-job so that I can write full time. No regrets! I took a lot of workshops by writers whom I admired. I had many rejections from publishers in the early days, but on occasion, their editors would write encouraging words. Lastly, my family encouraged me to write and good friends always took a sincere interest in what I was working on. I am inspired by day-to-day experiences, either mine, or from someone who wants to tell me about something that happened to them. As soon as they finish their account and leave, I write myself a note, then record it in my ideas journal when I get home. Some of those nuggets are embedded in my published works. 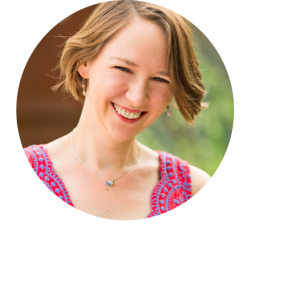 Find out more about Jessica Scott Kerrin at her official website or through the Book Week website here. 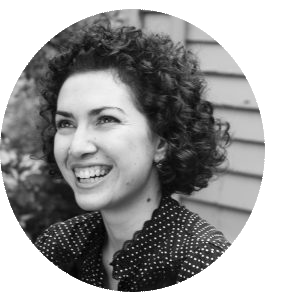 Anna Humphrey is the author of Rhymes with Cupid, Mission (Un)Popular, Ruby Goldberg’s Bright Idea and the Clara Humble series. She writes in the attic of a big old brick house that she shares with her husband, kids and cats in Kitchener, Ontario. I’m most excited about meeting so many young readers… and I’m also most nervous about meeting so many young readers. Like a lot of writers, I’m an introvert—and I’ve been shy my whole life. Public speaking is not my number-one favourite thing, but connecting with young readers and future writers is THE BEST. So, really, when I weigh it all out I’m, like, 86% excited and only 14% nervous. I’m a huge monster truck fan. I go to Monster Jam every year with my son. I know all the trucks’ names, and I follow some of the drivers on Instagram. I also “WOOOOHOOOO” loudest of anyone when one of the trucks does a back flip and bursts into flames. The first book I wrote was middle grade fiction. It was based on something I did in the sixth grade that I’m still ashamed of. Along with a friend, I emotionally bullied another girl. How does a basically good kid (who has been bullied herself) end up making such bad choices that hurt someone else? I needed to explore that to make some kind of peace with it—and I hoped that the story would speak to other kids, too. As I wrote that book (which went on to be published as Mission (Un)Popular), I remembered what it was like to be young: how there are so many firsts, and experiences are loaded with huge feelings and meaning. Before I’d even finished writing it, I was hooked. I knew I wanted to write more and more and more kids’ books. Everything I see, do or hear about inspires my writing. Have you ever seen one of those big wire balls they put Bingo balls or lottery numbers inside when they’re mixing them up? Basically, I believe I have a Bingo ball brain. Everything I’ve ever known or felt is in there somewhere, and I can never predict what will get pulled out and put together in different ways in my creative work. 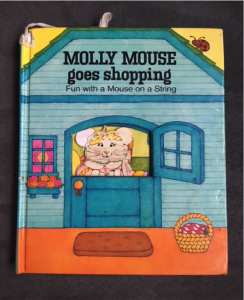 Molly Mouse Goes Shopping: Fun with a Mouse on a String. I loved this book because it had a cardboard mouse on a ribbon that you could move from page to page. You were supposed to hide Molly behind different flaps so Crank the cat wouldn’t find her. Molly Mouse had it all: danger, adventure, secret hiding places and cute animals—all things I continue to love in a children’s book. I still have my copy. 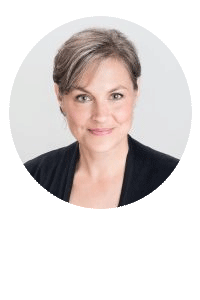 Find out more about Anna Humphrey at her official website or through the Book Week website here. Sylvia Gunnery is the author of more than 20 books for teens and younger readers, including her YA novel Emily For Real. Out of Bounds was a Best Books for Kids & Teens Selection and was nominated for the Hackmatack Award. 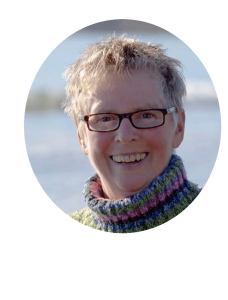 Sylvia presents widely at schools, libraries and festivals, and in 2016 she was the mentor at the first Writing on Fire teen writing retreat in Pugwash, NS. Believe in yourself and what you are creating. Stay with it until you know (and you will know) that you have done the job you set out to do. Doubts will sneak up on you or even shout at you to try to break your concentration and your creativity. Don’t let doubts succeed. Be involved in the community of others who are creating. If you’re a writer, go to readings or book launches of other writers, be there for award celebrations, volunteer to help your writing community (in libraries, schools, etc. )Do what you can to help your creative community grow. What are you most excited about for about Book Week? Is there anything you’re nervous about? Book Week means I’ll be meeting lots and lots (and lots) of young people in schools, libraries, and community centres. That’s what I’m most excited about. These opportunities to meet young readers and writers are so inspiring–and a great creative boost as I work on my next novel. There is nothing I’m nervous about. I know that students are basically welcoming and curious. Having taught teens for 32 years and having done many, many readings and presentations as an author, I know that things will go well if I do my best to make sure everyone is relaxed, involved, and has fun. People might be a bit surprised to know that I work one day a week at my local book store, just 10k up the road from my home at Crescent Beach. When LaHave River Books opened three summers ago, I was so happy that our neighbourhood had its very own book store. I wanted to pitch in and help make it a success. Last year we had a launch party there for Road Signs That Say West and served a HUGE three-part cake: one part represented Nova Scotia, another represented British Columbia, and in between was a cake-highway with yellow lines in the middle and a Trans-Canada road sign that said WEST. I had lots of favourite books as a child, most of them read to me by my older sister, such as: Black Beauty and Lassie Come Home. We shared a bedroom in our home on Hillside Avenue in Halifax, and she would read to me almost every night, before I learned to read myself. But the book I have saved–it’s here on a shelf in my writing space–is called Wiggletail by Charlie (no last name given). It’s about a little puppy shipped in a crate to a small boy, and all the boy could see poking out of the crate was the tiny tail wiggling and wiggling. I loved that puppy so much that I cut most of the illustrations out of the book and glued them to the headboard of my bed. Each of those tattered gaps in the pages now remind me of the little puppy called Wiggletail. Most of my books are written for teens or nearly-teens. As teachers of these students know, choice is so important when you are that age. I would hope that teachers might introduce any of my books, perhaps reading a page or two aloud and then offering it as an independent reading choice. Or maybe they could suggest that small groups choose one or more of my books for a readers’ circle. It can sometimes work well if three or four students read different books by the same author, and then meet to chat about things these books might have in common or what makes them different or what the author’s writing style is like. For my newest novel, Road Signs That Say West, it could be interesting to trace the cross-Canada trip the three sisters make from Halifax to Vancouver, with students thinking about places they would want to stop and explore if they were on a similar journey. I created three sisters in that book–all very different people. Students might decide which of the three sisters they would (or wouldn’t) want to travel with and why. Or they could consider characters the sisters meet along the way and imagine who might stay in touch after the trip is over. A review of Road Signs That Say West by Canadian Children’s Book News, states: It is an engaging story about what it means to let go of the past and align yourself with the path to your own journey in life. Students may want to explore this idea in their own writing. Find out more about Sylvia Gunnery through the Book Week website here. Jennifer Mook-Sang was born in Guyana, South America, and moved to Canada at the age of fourteen. Since she can remember, she’s loved to read. Summers would find her curled up with humungous stacks of comic books.She is the writer of Speechless (2015) and Captain Monty Takes the Plunge (2017). When I travel, I usually bring at least three books with me—paperbacks, so they don’t take up too much room in my suitcase. One will be funny, one will be serious, and one will be a book about the writing craft. My other travel essential is a beat-up spiral-bound notebook for jotting down ideas, notes about interesting scenery, and bits of juicy conversation. I’m very excited about meeting the students, teachers and librarians. I’m also excited to visit Quebec and experience the culture of a different province. I’m nervous because I don’t speak French. That’s something on my list of things to learn! You might be surprised to know that even though I was born and raised in South America, the only language I speak is English. That’s because Guyana is the only South American nation which has English as its official language. For fun and surprise, my favourite books are picture books. These small perfect stories give so much delight, I decided that writing one would be the finest thing anyone could do. My start was taking classes in story writing, reading about the craft, and practice, practice, practice (which all took a very long time). One of my favourite books as a child was Shadow the Sheep-Dog by Enid Blyton. Blyton’s stories are always exciting and full of adventure. This story is told partly from the point-of-view of Shadow as he grows from an over-eager, impulsive puppy to a responsible hard-working member of the farm team. I loved how Blyton wove in information about the work of sheep-dogs and what it’s like to live on a farm. 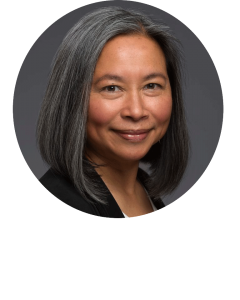 Find out more about Jennifer Mook-Sang through her official website and through the Book Week website here.